A C-130J Super Hercules taxies down a runway at Yokota Air Base, Japan, March 6, 2017. This is the first C-130J to be assigned to Pacific Air Forces. Yokota serves as the primary Western Pacific airlift hub for U.S. Air Force peacetime and contingency operations. Missions include tactical air land, airdrop, aeromedical evacuation, special operations and distinguished visitor airlift. Team Yokota welcomed the first of 14 C-130J Super Hercules being assigned to the 374th Airlift Wing (AW) and Pacific Air Forces (PACAF) during an arrival ceremony on Mar. 6, 2017. The new aircraft will eventually replace the unit’s existing C-130H fleet, which has been in service for nearly 30 years. The transition is part of an Air Force-wide effort to modernize the entire active duty C-130 fleet. It effectively closes a strong chapter in airlift history, as the H model has been in active duty service since 1974. Maj. Gen. Mark Dillon, PACAF vice commander, along with Col. Kenneth Moss, 374th AW commander, accompanied the aircraft on the final leg of its journey from Kadena Air Base, Japan. Upon landing, Japanese and American audience got a firsthand look at the future of tactical airlift in the region. The C-130J incorporates state-of-the-art technology to reduce manpower requirements, lower operating and support costs, and provide life-cycle cost savings over earlier C-130 models. Compared to older C-130s, the J model climbs faster and higher, flies farther at a higher cruise speed, and takes off and lands in a shorter distance. 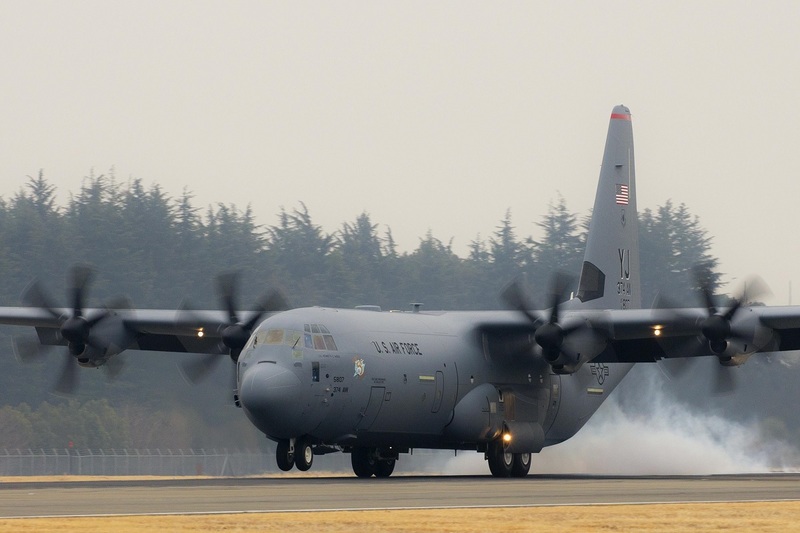 Yokota’s C-130s will also be 15 feet longer, increasing usable space and providing the ability to rapidly transport critical supplies, personnel and equipment around the Indo-Asia-Pacific region. Staff Sgt. 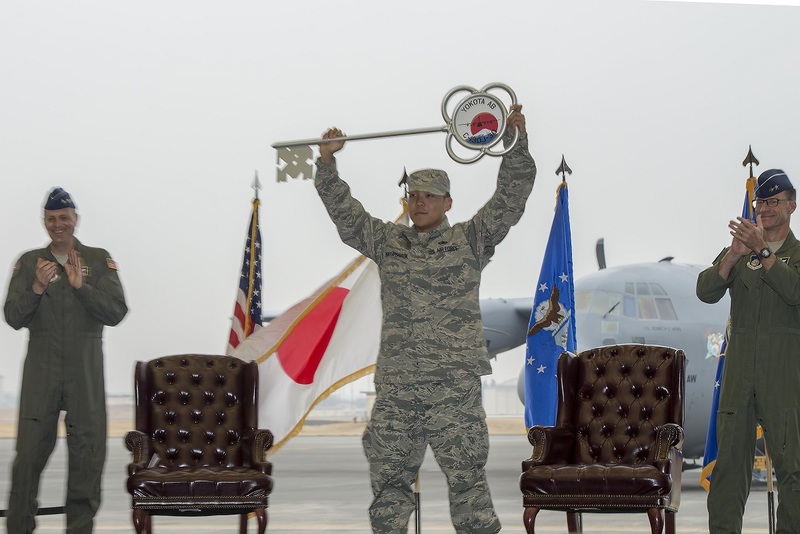 Gene Phonthipsavath, 374th Aircraft Maintenance Squadron dedicated crew chief, holds aloft the ceremonial key during a ceremony held to celebrate the arrival of the first C-130J Super Hercules assigned to Yokota Air Base, Japan, Mar. 6, 2017. The new aircraft is scheduled to have fully replaced the 374th Airlift Wing’s C-130 Hercules fleet by 2018. Operate out of 2,000 ft.-long dirt strips in high mountain ranges. Perform in-flight refueling, ground fueling, weather reconnaissance, electronic warfare, medical evacuation, search and rescue, paradrop, special operations and many other missions. Generate much greater operational efficiencies. 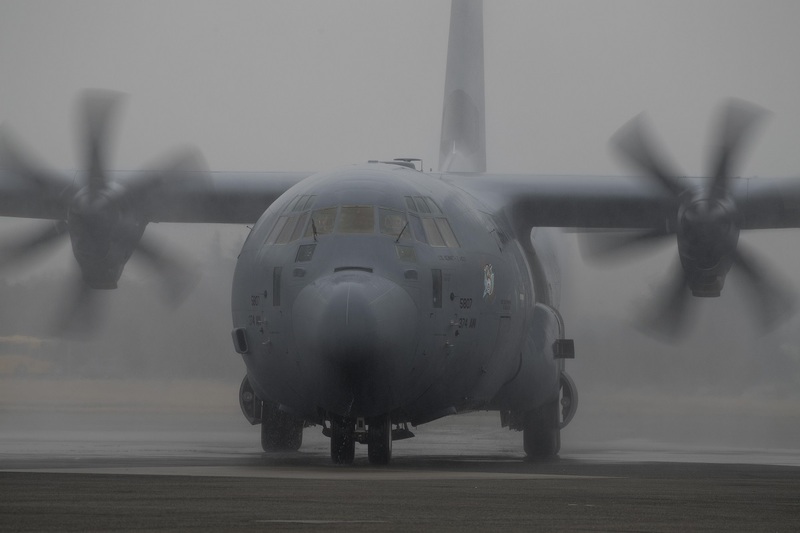 The C-130J outperforms older C-130s in combat operations by at least a two-to-one margin. Operate with only three crew members for most missions, exposing fewer flight crew members to potential combat threats. Demonstrate reliability that far exceeds most other military aircraft with average mission capable rates routinely in the 80 to 90 percent range. While this is only the first of the new J-model aircraft to arrive at Yokota, members of the 374th AW are already excited about continuing the mission with the new capabilities. A C-130J Super Hercules with the 36th Airlift Squadron is drenched in water during a water salute upon arrival at Yokota Air Base, Japan, March 6, 2016. Much like its H-model older brother, the C-130J will be used to support critical peacekeeping and contingency operations in the Indo-Asia Pacific region, including cargo delivery, troop transport, airdrop and aeromedical missions.